Rise up, My people, rise up. The alarm sounds for the time of war, and I need you to be awake and vigilant. There is much territory for the kingdom of light to take, and I have fully equipped you to cast out the kingdom of darkness. Therefore, take care not become lax and forget who you are and what I have called you to do. Resist the voice of defeat which would have you believe you are a victim of any earthly circumstance. Shake off the weariness of past battles fought in your own strength. A new day of war is ahead—a war already won by My might and My Spirit. Behold, you are not ordinary—you are extraordinary, beloved ones. Your citizenship belongs to the Kingdom which is above. To possess a heavenly citizenship carries more weight than you realize. You are My kingly priests anointed for war, commissioned to take territory in My name. Resist the urge to become overwhelmed or discouraged by your commission; everything that you need to walk in this high calling is found in My all-encompassing Presence. I have given you heavenly armor that will protect you from every attack of the evil one. And by My Spirit, you carry My holy vessels into the earthly battlefield. No weapon formed against you can prosper. No judgment made against you can stand. And no battle is too fierce for you, My people. For the Lion of the Tribe of Judah is always with you. When you rise up, I arise with you. When you agree to follow My lead and take new territory, I fight on your behalf. Therefore, again I say, My people, rise up! Rejoice, for your victory is always assured! 1 Peter 5:8 (AMPC) Be well balanced (temperate, sober of mind), be vigilant and cautious at all times; for that enemy of yours, the devil, roams around like a lion roaring [in fierce hunger], seeking someone to seize upon and devour. 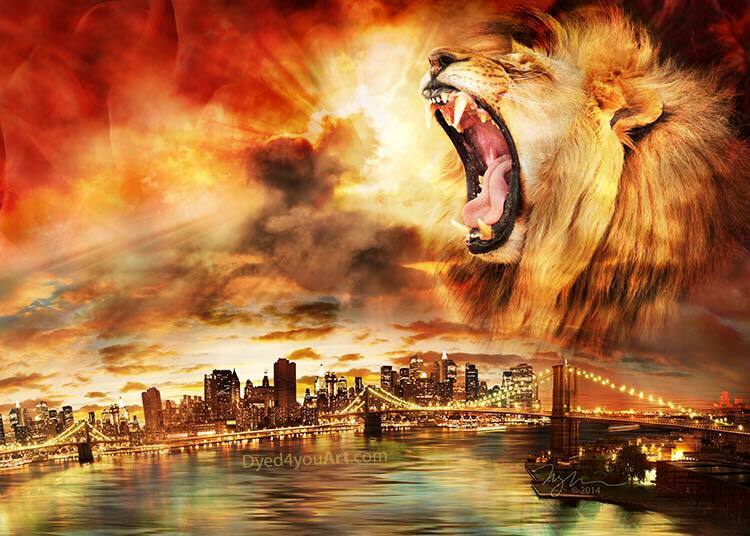 Numbers 23:24 (VOICE) Look at this people rise up like a lion, like a lion who gets up and does not lie down until it devours its prey, even drinking the blood of the slain.